Can God be trusted? Canadian pastor and author Buchanan (Things Unseen; Your God Is Too Safe) argues yes in this hard-hitting evangelical book, which brandishes vivid imagery and biblical truth. 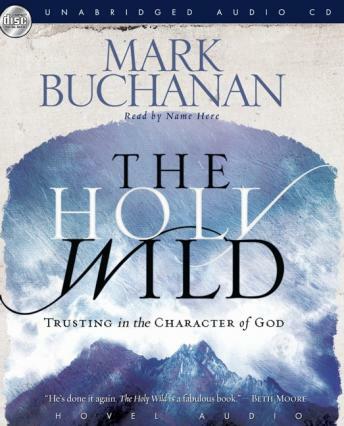 Writing in colorful, expressive terms, Buchanan engages readers' hearts and attention as he challenges them to trust in three divine attributes: God's benevolent nature, his saving nature and his majestic nature. // Opening with a discussion of soul weariness, which most Christians experience at various times, Buchanan emphasizes the importance of trusting in a faithful God. A common obstacle to this trust is that Christians desire a God of love, but want to forget his equally essential quality as a God of wrath. Does anyone really want a God who is devoid of anger, asks Buchanan-especially when that anger is a purifying fire that responds to godlessness and wickedness? // Interestingly, Buchanan notes that God's wrath is played out most fully not when he delivers retribution but when he leaves his children to their own way-alone for all eternity. The author's passion convinces readers to dare enough to embrace the gift of rest from God. Though the reading generally moves along at a fast clip, the book's second section focuses on the foundations of salvation in lackluster fashion. The final sections, however, pick up momentum to finish in fine style.